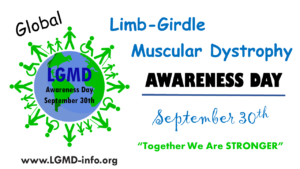 Dysferlinopathy (LGMD2B/Miyoshi Myopathy Type 1), which are caused by mutations in the dysferlin gene. We are incorporated as a private non-profit foundation in the U.S. As such, we don’t solicit donations from the public. We started as a result of our founder’s son being diagnosed with dysferlinopathy. Following the family’s contact with fellow patients and researchers, the Jain Foundation was established in 2005. To develop treatments and cures for dysferlinopathy. We are primarily focused on research and development of treatments, rather than patient services. However, it’s not possible to test treatments or determine outcome measures for clinical trials without patients, and diagnosis remains a big challenge for all forms of LGMD. 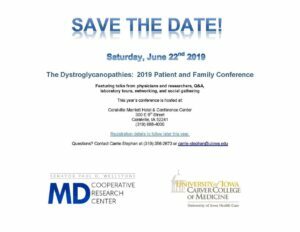 Because of this we maintain a patient registry, and provide diagnostic services for patients likely to have dysferlinopathy to help clarify their diagnosis and allow them access to clinical trials and eventually, treatments. We have just completed a multi-year clinical study, The Clinical Outcome Study of Dysferlinopathy, involving some 200 patients at 15 clinical centers in eight countries. This study has provided a definitive natural history of dysferlinopathy, has identified the best outcome measures (what will be measured, in how many people, for how long) to be used in clinical trials for dysferlinopathy in order to determine if a treatment is effective. This study is about to launch into the next stage in which our findings will be confirmed, another 100 patients will be able to participate, and four new medical centers will be involved. We are pursuing many approaches to treating dysferlinopathy including gene therapy, repurposing drugs already on the market for other diseases, and the development of new drugs. For gene therapy, we are currently working closely with Myonexus, which is developing a “dual vector” AAV gene therapy for dysferlinopathy. In addition, we have so far tested over 15 candidate drug treatments in preclinical studies in mice with dysferlinopathy and are always exploring and testing new treatment options.. We are hopeful one or more of these treatments will show a benefit for dysferlinopathy. As we don’t raise money from the public, the support we seek from patients and others is to join the Dysferlin Registry, consider participating in clinical studies, raise awareness of this disease, and become engaged in the community. 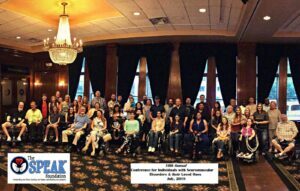 It is becoming clear that in rare diseases, the existence of a strong advocacy organization and patient/family community is critical in developing treatments. The Jain Foundation can provide the organization, but we need your support to build a strong community! 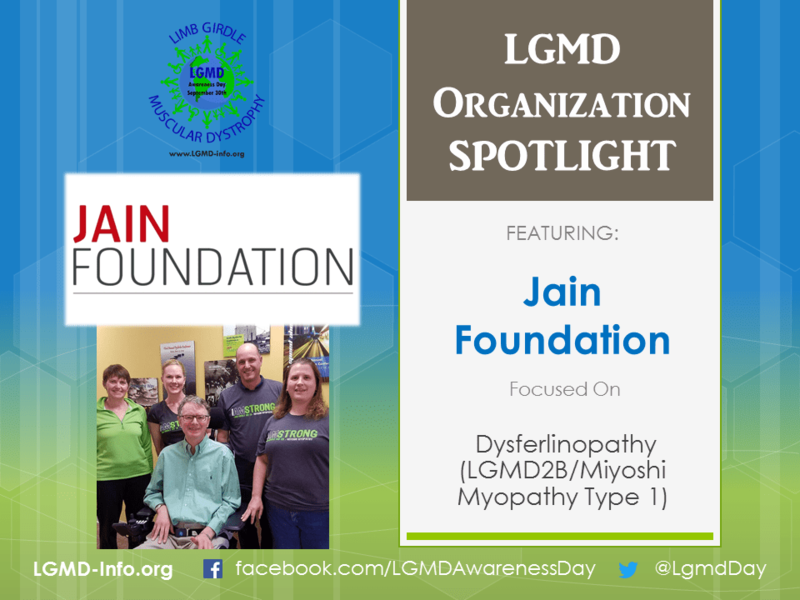 Patients diagnosed with or suspected of having dysferlinopathy can contact us at patients@jain-foundation.org. In addition, we encourage people to visit our website, which contains a lot of information about dysferlinopathy and our research programs. We are focused on breaking down barriers in the path of our goal of developing treatments and cures. These include filling gaps in scientific knowledge which can help us identify possible treatments, gaining a better clinical understanding of the disease to allow successful clinical trials to be conducted, maintaining an engaged patient community using the Dysferlin Registry so that trials can be populated in an efficient manner and performing preclinical and clinical testing of prospective therapies. ← LGMD RESEARCHER: Charles P. Emerson, Jr., Ph.D.